Sweet misery is the description used in medieval poetry to describe the time spent in Purgatory. 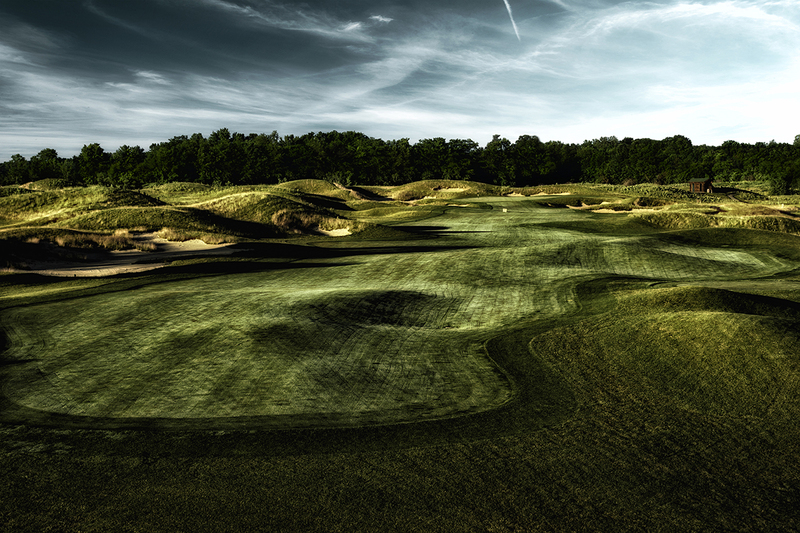 The 14th hole is a difficult but enjoyable par 4. 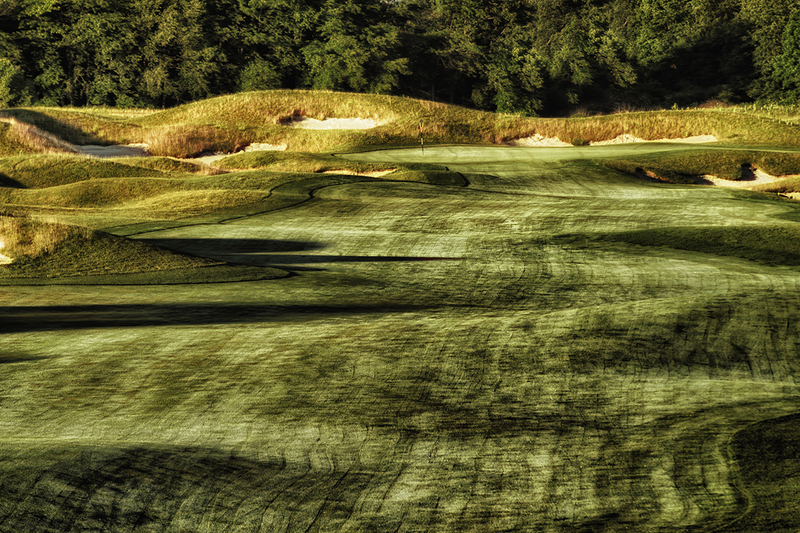 From the tee box, aim at the bathhouse to line up on the right side of the fairway and away from the bunkers. 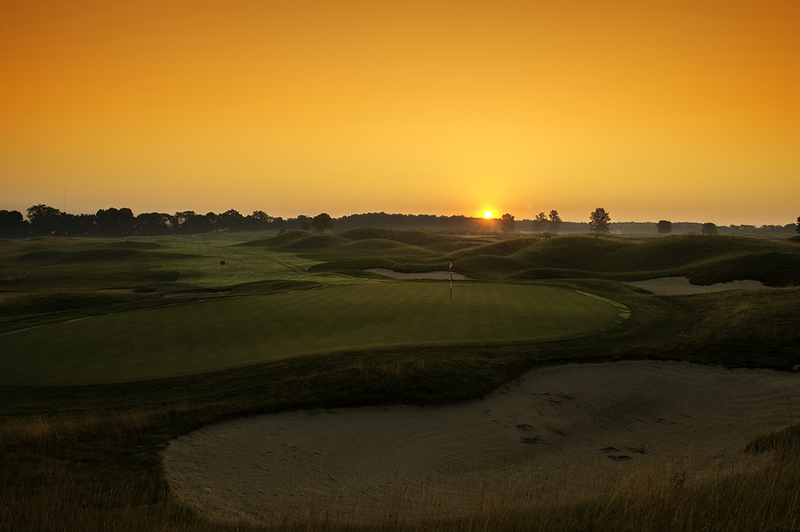 The hole plays into the wind with an elevated, bunkered green.